Today was my second day helping at the Omaha Street Dog Coalition, a branch of the national Street Dog Coalition at Sienna Francis House in downtown Omaha. I showed up fifteen minutes early as I always (mean to) do. I was surrounded by about fifty men milling about, many of whom helped bring in supplies and asked how they could help me set up and get started. I asked a guy passing by how he was, and he said, “wonderful! I am so blessed!” Maybe Dr. Taplett is right. Maybe life does begin outside your comfort zone. Sometimes. I saw a few dogs the first time and ten dogs today (including four puppies!) Dr. Dobson saved my life by seeing the one cat who came in with his person today. Man-man was a champ for his exam and vaccines! It was so much fun. I can’t wait until the next time. Once again Dr. Pete Bashara and his family invited the doctors and their spouses and other special guests to the Nebraska Humane Society party and fund raiser, Black Tie and Tails. It was held on Saturday, April 21, 2018. And once again it was one of Russ and my favorite evenings! The night started with a silent auction (We won the bread basket and the bird feeder basket!). Next was dinner and a summary of some of the incredible things the Humane Society has accomplished this year. We had such a good time, and are encouraged about all the Nebraska Humane Society continues to do for the animals and people of our city and beyond. Thank you Dr. Bashara! We had a wonderful evening with all of you!! Kelly and her family adopted a new puppy! 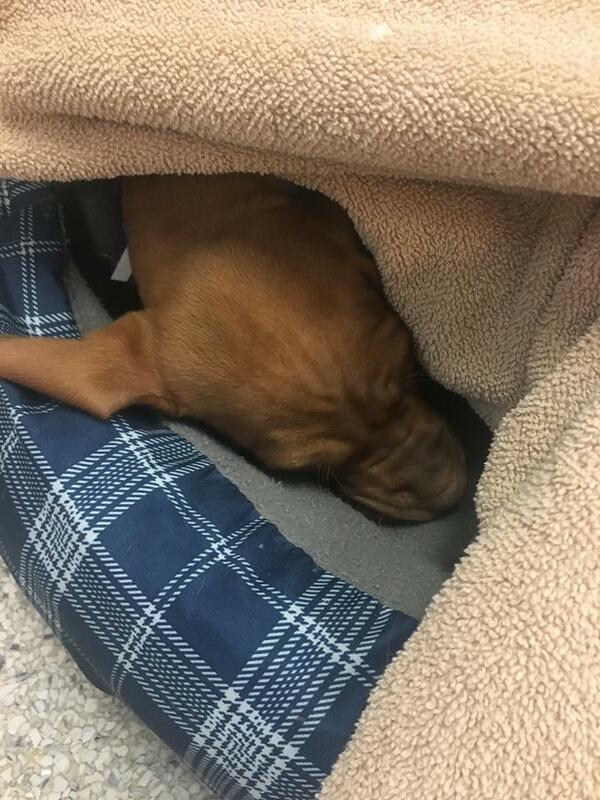 Her name is Violet, and she is a Vizsla puppy. How cute is she?? And so sweet! Thank you Stems! We love being your neighbors! For those of you with a weak stomach or no interest in the ins and outs of surgery...or both...skip this post! Those of you who like the weird and the gross, read on. One of the coolest surgeries we do is stone removal surgery from the urinary bladder. Stones can be quite pretty. These look like roses to me. We take stones out for two reasons - they hurt and they can obstruct the urinary system, especially in males. Before surgery, we do a physical exam and blood work. When we have patients undergoing anesthesia, we - of course - want it to be as safe as possible. The day of surgery, the pet is fasted. He or she is sedated and anesthetized. An IV catheter is in and anesthesia monitoring equipment is hooked up. The pet is placed on their back on the surgery table in the surgery room. Lights are aimed at their belly. Warning! Here is the gross/cool part...An incision is made into the abdomen and the urinary bladder. The stones are scooped out - I am not making this up - with a tiny measuring spoon. We have three. They say "smidge," "sprinkle" and "pinch." I use the "smidge" spoon, the smallest one. The bladder incision and the abdominal wall incision are sewn back up and x-rays are taken to make sure all of the stones are out. The stones are sent to a lab for analysis. And the pet lives happily ever after, hopefully forever stone free. 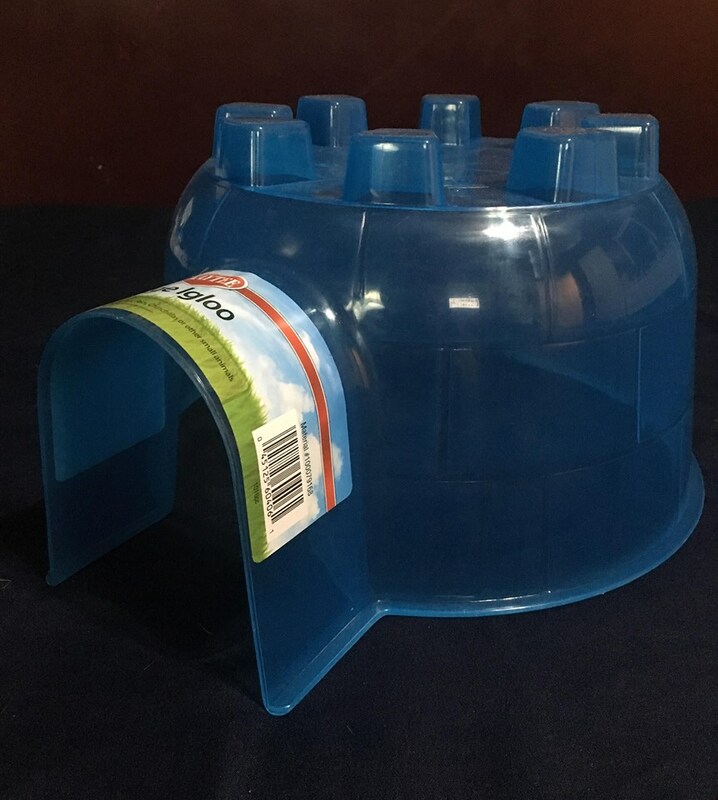 I received a Kaytee Igloo to review from Chewy.com. Everyone who has had a rabbit or rodent seems to have had one of these! (It was difficult to find a friend who did not already have one!) And I got a lot of good feedback on the igloo. Our guinea pig Piggy loved his. He did not climb it as some more adventurous piggies might, but he did like to spend time in his igloo. "I think my gerbils would destroy it." -Sara Tifft"
Too small for almost any dog! For a dog who constantly wags her tail, Joy found the igloo quite restricting. So there you have it! Too small for (dogs and) bunnies. Not ideal for chewers like gerbils. 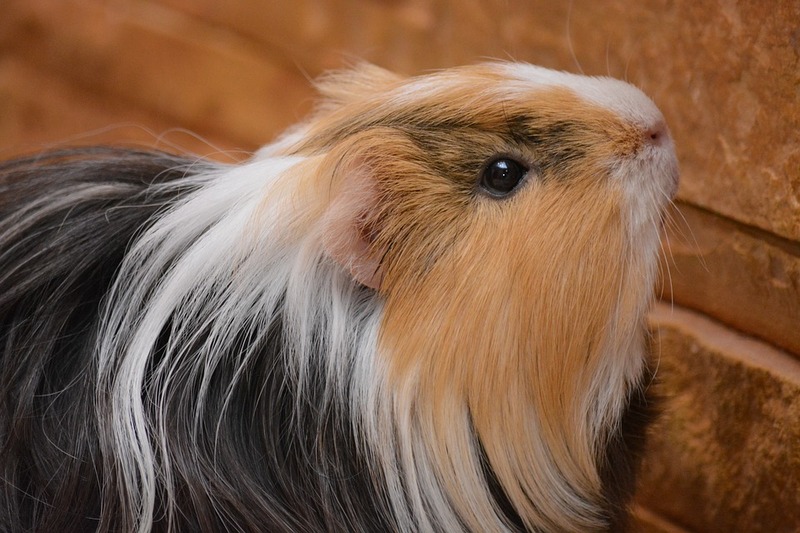 But for guinea pigs and rats, both of whom appreciate a hiding space, these are a great addition to their habitat! Pumpkin is one of two Frenchies of our friends the Clarks. Abby met her at a candle party. I love the look on Abby's face when she meets a dog!